The Disaster Artist (film, 2017). A 2017 American biographical comedy-drama film with "R" rating by A24 (USA)/Warner Bros. (International). Directed by James Franco. Official Trailer. The Disaster Artist is a 2017 American biographical comedy-drama film directed by James Franco. 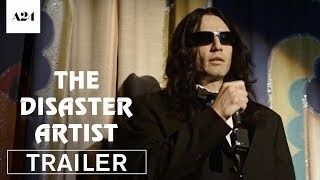 The Disaster Artist | Tommy | Official Trailer 2 HD | A24. San Francisco, 1998: 19-year-old Greg Sestero meets Tommy Wiseau in acting classes with Jean Shelton after Tommy gives a protracted and bizarre performance of a scene from A Streetcar Named Desire. Greg is impressed by Tommy's fearlessness and the two become friends. On Tommy's suggestion, they move to Los Angeles to pursue acting careers. Sestero discovers that Wiseau can afford apartments in both San Francisco and Los Angeles, but Wiseau will not discuss his personal life or the source of his wealth. Greg signs with talent agent Iris Burton and regularly attends auditions, while Tommy is consistently rejected by agencies, acting teachers, casting directors and producers. Greg begins dating Amber, whom he meets at her job at a nightclub, and Tommy grows jealous; as he continuously fails to find work, he becomes disheartened. As Greg's auditions also dry up, he shares his frustrations with Tommy, who decides to make a movie for them to star in. Tommy writes a screenplay titled The Room, a melodrama about a love triangle between banker Johnny (played by Tommy), his fiancée Lisa and his best friend Mark. Greg reluctantly accepts the role of Mark and a line producer credit. They rent out a production house; Tommy insists on buying all the production equipment and shooting the film on 35 mm film and HD Digital simultaneously, costly and unnecessary measures. The employees introduce Tommy to Raphael Smadja and Sandy Schklair, who work as his cinematographer and script supervisor respectively. Principal photography began on December 8, 2015, in Los Angeles, and ended on January 28, 2016. 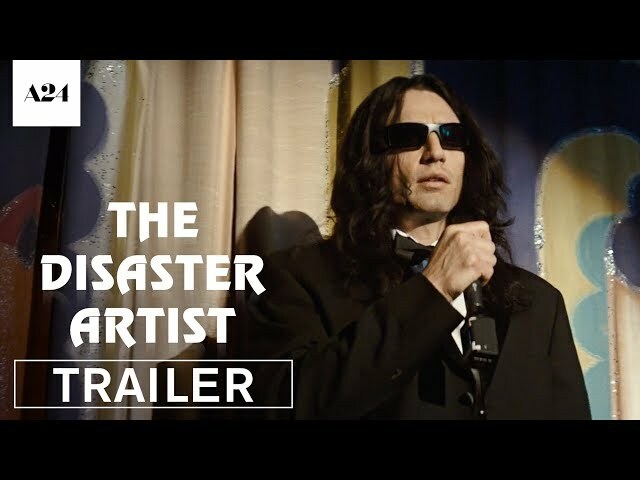 The film The Disaster Artist was scheduled to be released by A24 (USA) and Warner Bros. (International) on March 12, 2017 (SXSW), on December 1, 2017 (United States), on December 8, 2017 (United States) and on February 1, 2018 (Germany). The duration of the film is 103 minutes. With a budget of $10 million, the film grossed over $30 million. The Disaster Artist got high rating from critics. The audience also likes the film.